Wedding ceremony: the ornate traditional outfit. 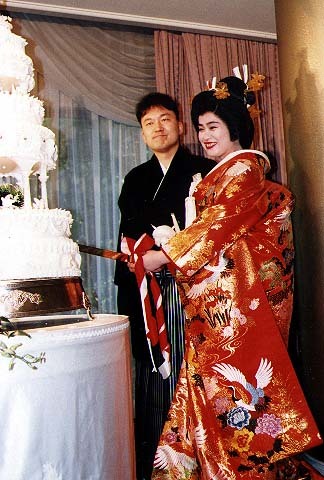 Wedding, reception, cake, slice, kimono, red, crane, happiness, good fortune, longevity. Ceremonies, wedding, marriage, food and drink.